I was fortunate a few months ago to have won one of these from Lady Writes’ blog giveaway. It arrived in the mail in the most glamorous purple envelope and I had totally forgotten it was coming! I hadn’t been anticipating any mail, so that was a lovely surprise! This costs £19.50 for 7.3g on FeelUnique although they also offer a travel size (3g) for £9.50. From what I had heard (and seen) there had been many raves about the prismatic packaging but personally, it wasn’t really up my street. Perhaps it was the clear plastic on top of the prismatic pattern or how it collected fingerprints easily but it just didn’t wow me. It photographs beautifully though, as you can see. There’s very little weight to the packaging as well. My first impression was that I really liked the rubber brush of this mascara. It’s apparently an in-house design from Urban Decay and I felt the variation in the sides meant that I could have a really good swipe at all of my lashes without too much difficulty. One side gets longer as you go towards the end of the spoolie. Three are even all the way down but different lengths, with one super short. 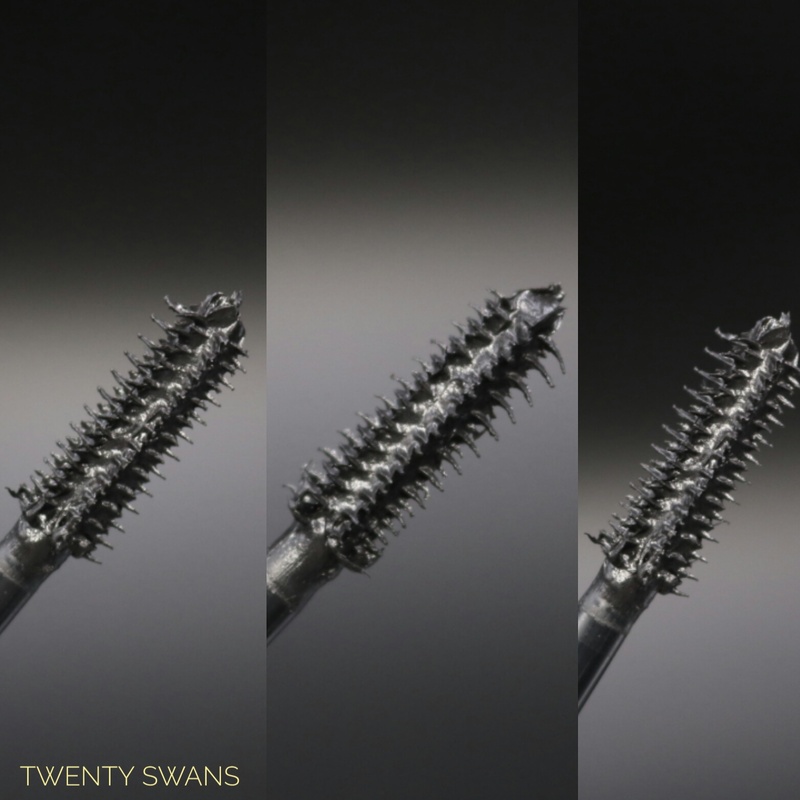 The long spools actually lead to more clumping on my lashes in my opinion, and using the super short side deposited lots of product on my lashes which is more ideal for a voluminous look. I found the more mid-length bristles to be best if I applied quickly. I can’t say it held a curl very well. I have a problem where volumising types of mascaras also weigh down any curl in my lashes very quickly and felt it was the same for this mascara. One very light coat, applied quickly, was fine but anything thicker than that, or multiple coats, instantly weighted the curl down. There was also some clumping and flaking when it dried, which was a little annoying. It lead to a subtle effect on my lashes rather than the dramatic lashes they claimed to produce. On some days that I wore this, it began to smudge around the 4/5 hour mark under my eyes, but not dramatically. On other days, it lasted really well without a single smudge. It’s survived twelve hour days at university, one of which included a session of badminton, in pretty much perfect condition. As an added note, I noticed that one set of lashes works way better with mascara than the other. Is it just me? As well as that, I have begun to use the mascara on my bottom lashes and am making a mental note to update the lash photo here. 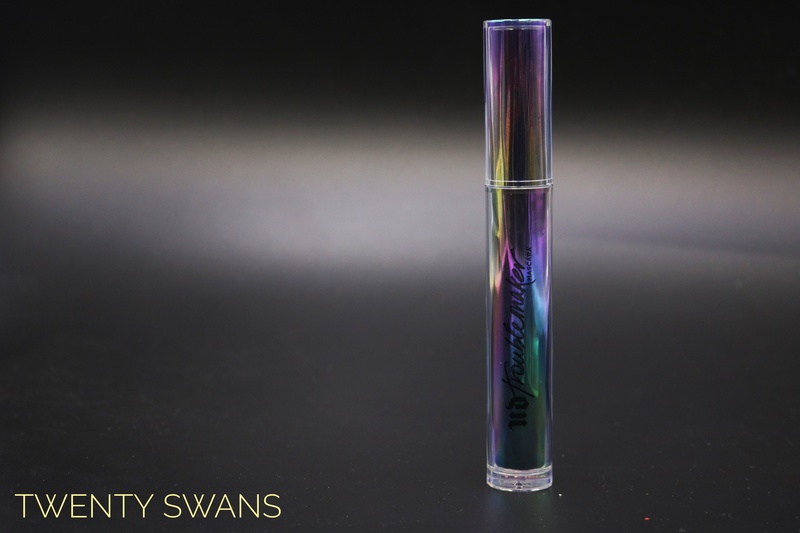 The overall performance was very hit and miss, and that was the more annoying part because I couldn’t form a concrete opinion on this mascara! I’m a little disappointed with it, especially as their previous offering, Perversion (that I haven’t tried) is so highly regarded. It’s a nice everyday option at the moment though that lasts really well despite being non-waterproof, so I will continue to use it up. However, the results were more subtle than dramatic and it didn’t blow me away. 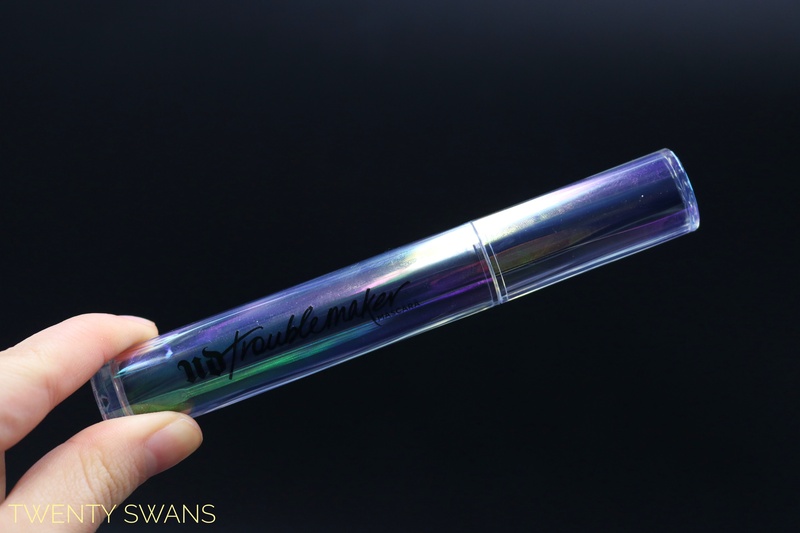 Let me know what you think of Urban Decay’s Troublemaker Mascara! Yes, I am sure if it were not for the giveaway, I wouldn’t try a high-end mascara because they have to be used up fast and they cost so much! I love how thorough your post is. Its unfortunate you were disappointing with it, hopefully you find another that you like. So lucky you had it as a giveaway and did not have to spend money on this product. I agree, I think I was very lucky and its a shame it didn’t work out for me. I actually don’t like the packaging! Maybe it’s personal preference and all that but I think it looks quite cheap. I have never tried a UD mascara or UD anything in fact, but I have heard good things about their Cannonball mascara, especially for Asian straight lashes? I think we have very similar lashes and lash behaviour. If I apply too much mascara with certain formulas, they start to droop and the curl is gone! I also have the problem where one side might look better than the other haha!